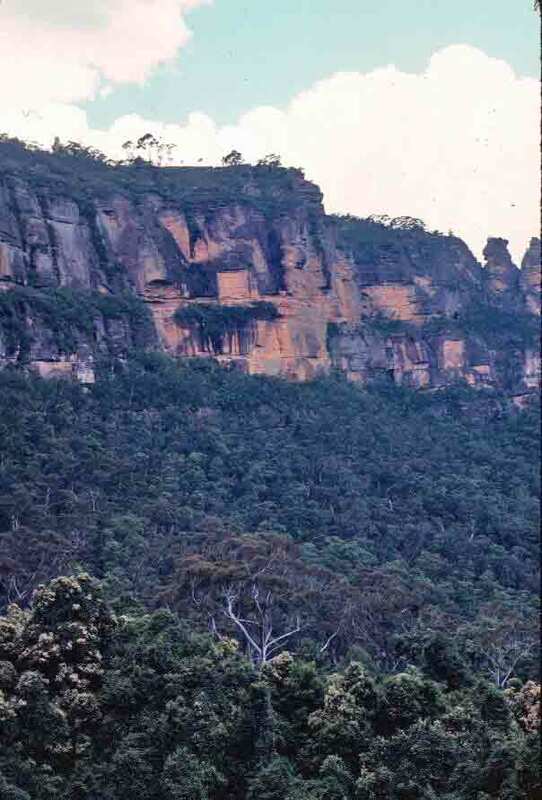 One of the most popular places to visit in the Blue Mountains is the area known as Katoomba, a name derived from an Aboriginal word that refers to the waterfalls located there. 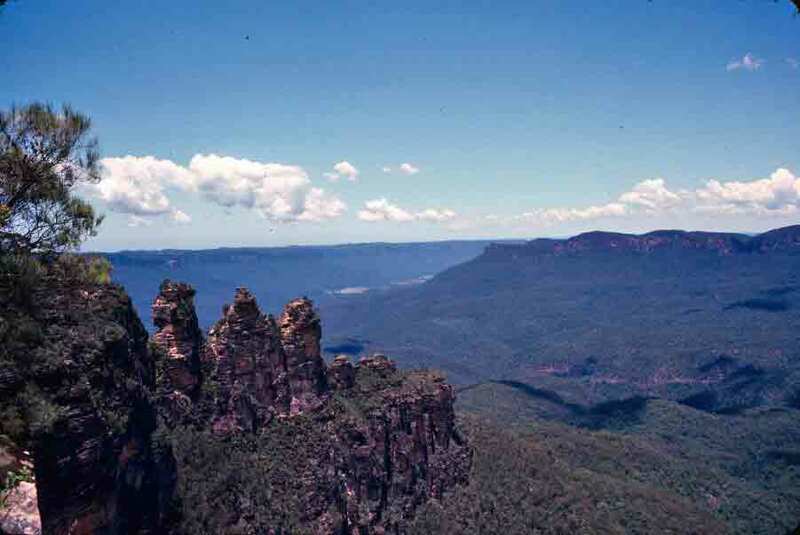 The first stop for anyone visiting Katoomba is to view the Three Sisters, a rock formation associated with an Aboriginal myth. I related that myth previously here. The photo with that post was from my second trip to Katoomba—in fact, my second trip to Australia. The photo below left—the Three Sisters, with the Jamison Valley as a backdrop—is from my first trip. The photo to the right is from half way down the cliff face. On my first trip, the weather was better (that rainbow in the picture from the second trip was, in fact, because it had been raining), so I was able to spend a fair bit of time hiking the area’s trails, enjoying the beauty and drama of the cliffs and trees, as well as the smaller blessing of beautiful wildflowers and lovely birds. On my second visit to Katoomba, in addition to rain (it was spring on that second visit, summer on the first), there were a lot more tourists than on my first visit. But it’s still worth seeing. The view you get there of the Jamison Valley is wonderful. Then you can go somewhere else to hike if you want to get away from the people. 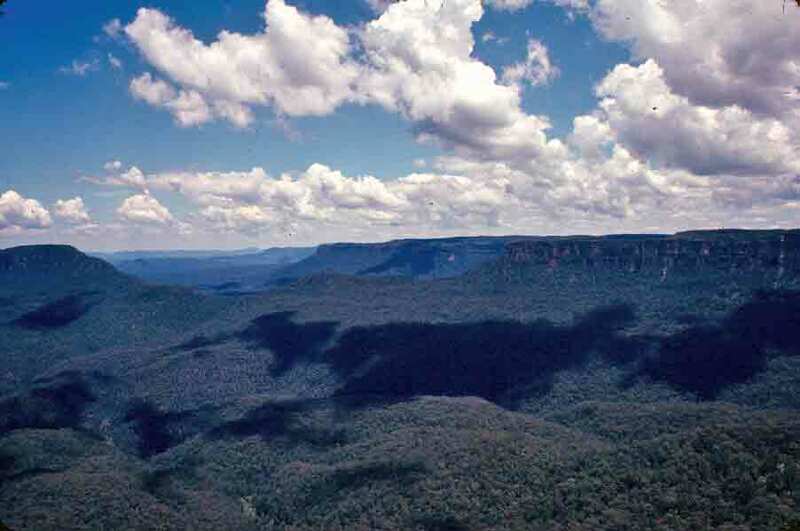 The Blue Mountains outside Sydney are remarkable beautiful—but they are not technically mountains. They are the remains of a great plateau that has been worn away until all that is left are cliffs and gorges. From the ground, it looks quite a bit like a mountain range, especially from a distance, but once you reach the flat top, it becomes more obvious that this is a plateau. The photo below overlooks part of the Jamison Valley, an area known for its beauty, waterfalls, bird life, and great hiking trails. The shot is from my first visit to these lovely non-mountains. To be completely accurate, while just about everyone refers to the great sprawling waterway that is the centerpiece of Sydney as Sydney Harbour, the entire harbor is actually named Port Jackson. 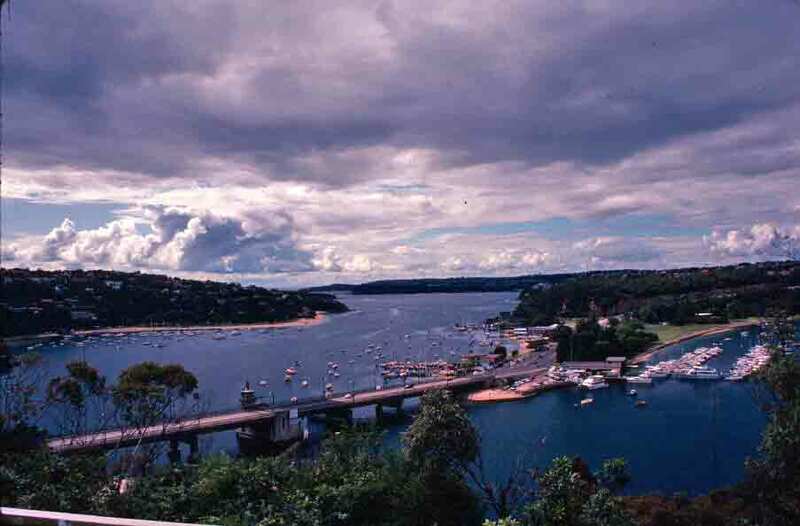 Port Jackson is made up of North Harbour, Middle Harbour, and Sydney Harbour. But if you book a Sydney Harbour cruise, you’ll likely be seeing most of Port Jackson. Sydney Heads are the great cliffs that flank either side of the relatively narrow opening to Port Jackson—wide enough for traffic but narrow enough for a remarkable level of protection from ocean storms. North Head and South Head are on opposite sides of the passage. The first time I saw the Heads, I was approaching by land. I stopped at The Gap on South Head. This is an imposing cliff that faces the ocean here at the edge of Australia. 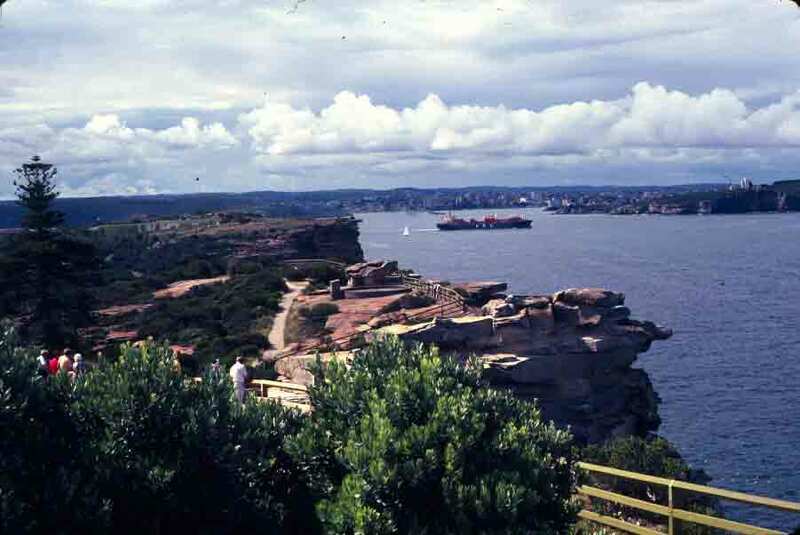 The site of a few shipwrecks and a number of suicides, The Gap (shown below, left) is a popular spot for tourists to get photos of Sydney, the Heads, and the rugged face the continent turns toward the South Pacific. I must say I was struck by the vista of the ocean from the spot. 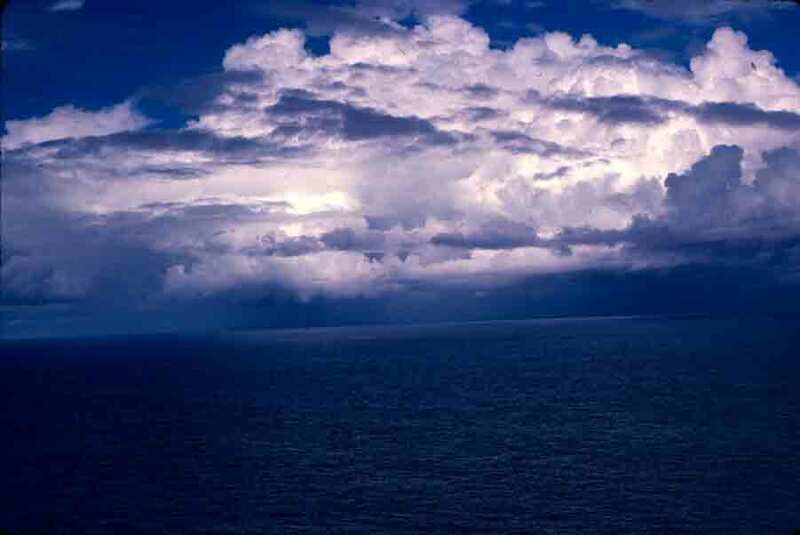 Of course, it was a splendid day, and the clouds were reflected in the deep, blue water, so it was incredibly beautiful and delighted my heart. But at the same time, I was struck by the emptiness and seeming endlessness of it. I can hardly imagine how people crossing the sea by ship, in the days when ships were only about 90 feet long and powered by sails, and there were no GPS devices and even longitude was a new and untested concept, could gaze at it for months on end without despairing. One must have been very certain of one’s purpose or skills or both to keep going when there was nothing to mark distance except math and changing stars. Remarkable people, those early explorers. It seems to me that most photographs of Sydney Harbour don’t really offer more than a hint of the harbor’s beauty and impressive size. Of course, that’s usually because the photos are, quite reasonably, showing off the familiar view of Sydney’s downtown, the Harbour Bridge, the Opera House. However, that’s just a fraction of the harbor. Sydney Harbor has been called the most beautiful natural harbor in the world. This is where Australia was born, where the First Fleet landed in January 1788 and laid claim to the continent on behalf of Britain. Even then it was recognized as an astonishing harbor. The harbor has a 150-mile shoreline that encloses nearly 21 square miles of water. However, the harbor is not merely large; it is glorious, with gentle beaches and towering sandstone walls, bays and points, headlands and islands. The two photos below were taken in widely separated sections of the harbor, but I think they both show something of its beauty. 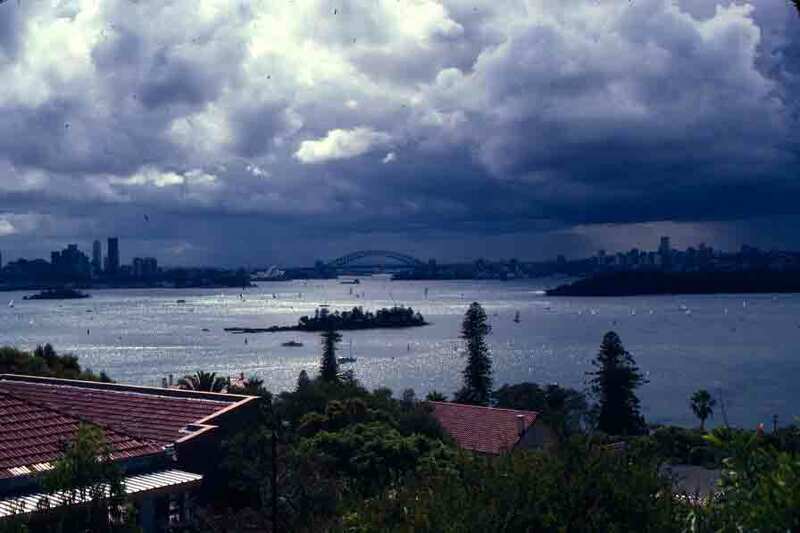 In the image on the left, the Harbour Bridge and Opera House are in the far distance, to give some scale to the image. They say that books need video trailers these days. I don’t know how much good they do, but I found a place that does a good job for a reasonable price, so I gave it a shot. I had my first video book trailer done a couple of years ago, when my book was new. I thought that this year, with the book having won an award, it might be time for a second trailer. So I asked the team that created the first video to do a new one. This time, I supplied several photos from my travels, to get away from using images everyone else might be using (all but the shot of Ayers Rock/Uluru and the Sydney Opera House, both of which they used in my original video, are mine). I think they did a good job of creating something that was very different from the original. For any writers out there who might be considering a video book trailer, I’d definitely recommend these guys (their info is at the end of the trailer). Not only do they create the video, they post in on the Internet for you.